Caravan Park and RV parking are close by. Visitors welcome. The BazzUkers meet on Sundays, phone or facebook for details. For more information... join the FB group or just call or inbox me. 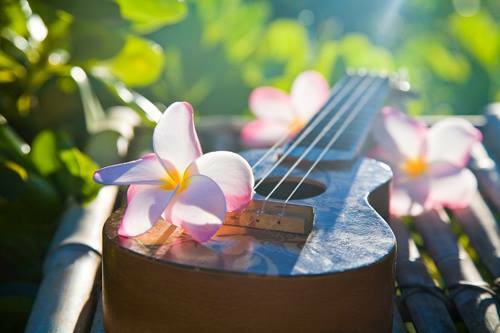 WannaUkes are about having a good time playing and learning to play the Ukulele. New members always welcome. 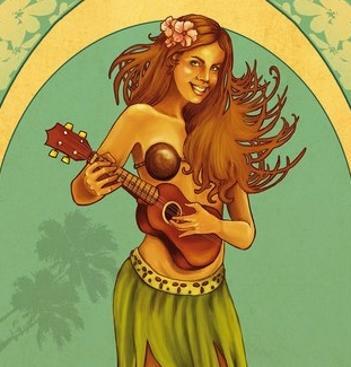 Ukulele players of all tastes & abilities meet to have fun. The first half is spent learning and teaching new songs. The second half, after a snack and a natter, is a chance to perform a wide range of contemporary, popular, original and nostalgic material, solo and in ensembles. Cnr of Nannine and Stevens, opposite Booyambara Park and next to Fremantle Men's Shed. $5 helps cover cost of hall hire and refreshments..
We generally have about 8 to 15 players that get together for a couple of hours most fortnights at the Women’s Rest Centre in Albany, Western Australia. Please see our Meeting Dates & Venue page for further details regarding dates & times. 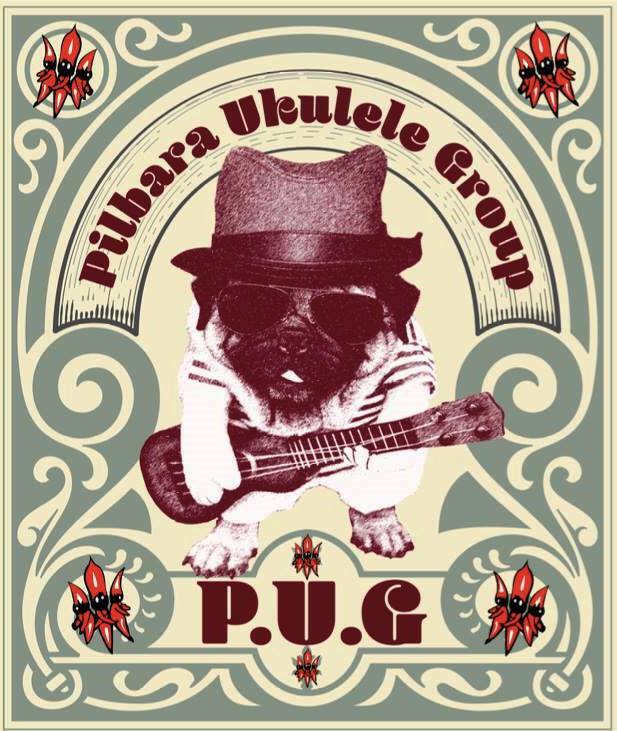 Northern Ukulele Group Perth - Based at Beach Shack and Toscanini's on the boardwalk at Hillary's boat Harbour, we meet on Friday evenings at 5pm. 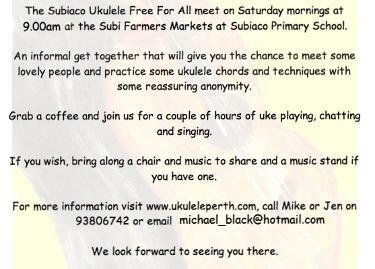 Come and learn or just play along and sing some good music. meets at 1pm on Saturday afternoons at Sunbreakers Restaurant, 110 Mandurah Terrace, Mandurah. We meet Saturday mornings from 9am outside the iconic Blue Duck Cafe, North Cottesloe, near the sea, Western Australia. Come drink coffee, play uke, and sing along in a great atmosphere and join the PLUCKers. 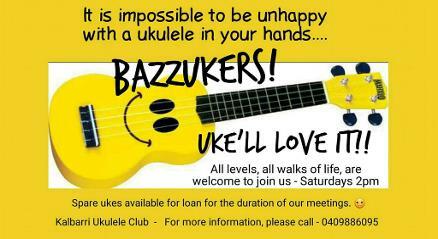 Perth Live Ukulele Cafe Kollective is the first in WA - meeting since 2007. Bring your voice along to Pluck (or strum) at the Duck - locals and travelers welcome.